This show we do a little flashback as we go on the grid one more time with elecTRONica, we talk to your evil queen Jana and find out the latest offers. We also take you back in time when Daniel, Liana, Mark, Lily and others meet up for one of the wildest rides in the wilderness and we have a funny moment with Daniel when he saw Mark go and touch the plaque at the flag, so Daniel had a moment with Walt I should say? We also get to hear the late Jim Finazzo join us after he gets off work. We also get into a geeky dorky mode. Don’t forget our FOTM meet summer of this year . August 08-10 2014 at the Disneyland resort. 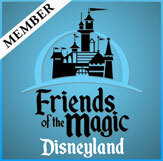 Go to www.friendsofthemagic.com for more information. GHS and Betty Taylor 2 disc combo back. http://www.youtube.com/user/abovethefirehouse on there you can see videos that are not on this feed and in High Definition. I now have ATF pins for sale. You can purchase them from our web site http://www.abovethefirehouse.com We now have ATF T-shirts. You can click the link to order them from the main page. Also our other sponsor is Jana from Main Street Travel Co. Call Jana and start your vacation today at 1-800-593-1262. Tell her Above The Firehouse referred you and she will make a donation to the podcast.